After being criticized for its handling of the Flint water crisis, the Department of Environmental Quality is being reorganized by Gov. Gretchen Whitmer. Under the executive orders signed Monday by Whitmer, the DEQ will become the Department of Environment, Great Lakes and Energy. Located within the restructured department will be a Clean Water Public Advocate, who is responsible for investigating complaints about the safety of drinking water. “This is about finding real solutions to clean up our drinking water so every Michigander can bathe their kids and give them a glass of water at the dinner table safely,” Whitmer said at a press conference. An Environmental Justice Public Advocate will also be named and will investigate concerns related to residents who face discrimination due to race or income after a task force commissioned by former Gov. Rick Snyder found that environmental injustice played a role in the Flint water crisis. “Decisions were made in a community that was voiceless, and that was a contributing factor to everything that happened in the city of Flint,” Whitmer said. 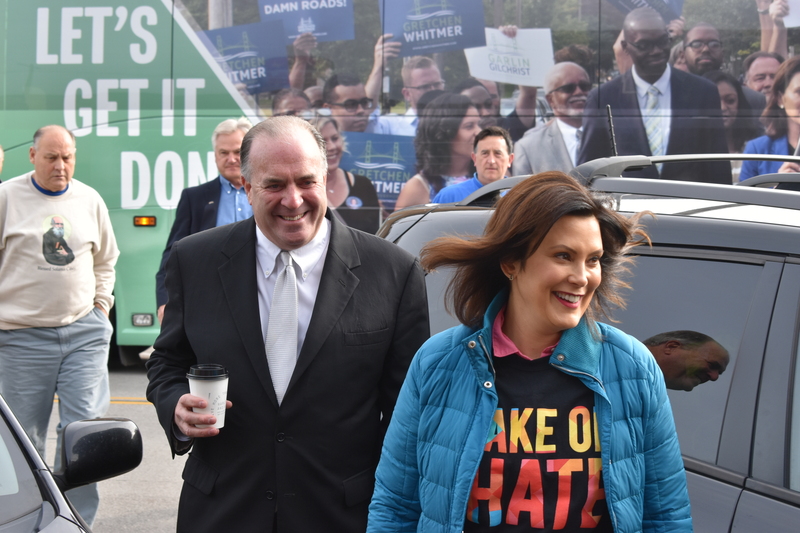 “I believe that there is enormous work for us to do, and that’s why we’re identifying an advocate that people and communities across our state can reach out to to get the process of making sure that we don’t ever have a situation like that again,” Whitmer added. Both public advocates will be named by the agency’s director, Liesl Clark. The department came under fire after the city of Flint, under the control of an emergency manager appointed by Snyder, began drawing drinking water from the Flint River. Investigators found that the DEQ did not require the use of corrosion-control additives, as federal guidelines required, which lead to the corrosion of lead pipes in the city. While Whitmer declined to estimate the cost of restructuring the department, officials noted that no net gain of state employees was expected as a result of the change – rather, employees will be moved into the new department from other state agencies. Other actions taken by the governor Monday include entering Michigan into the U.S. Climate Alliance, a group of states that aims to uphold the goals of the Paris Climate Agreement after President Donald Trump withdrew the nation from the pact in 2017 and making permanent a taskforce that recommends PFAS response actions. Monday’s signings mark Whitmer’s second and third executive orders and her administration’s 12th executive directive.